Emma - Certainly dogmad and often seen with Casperdog and Monty, often wearing an Absolutely Barking Tee. Marc - whose sense of style (www.marconeill.com) makes Dogmad tick. Dominic - Emma's brother, founding partner and owner of Bodger and Boscoe the youngsters in the pack. Robin - Emma's brother, the technical brain in charge of this web site, and happy owner of Ginger and Scout. David - Emma's Father, provides computer support to Dogmad as well as Chalk PR and Pinner Local & Eastcote Local (available at Technology Support Consultancy Ltd). 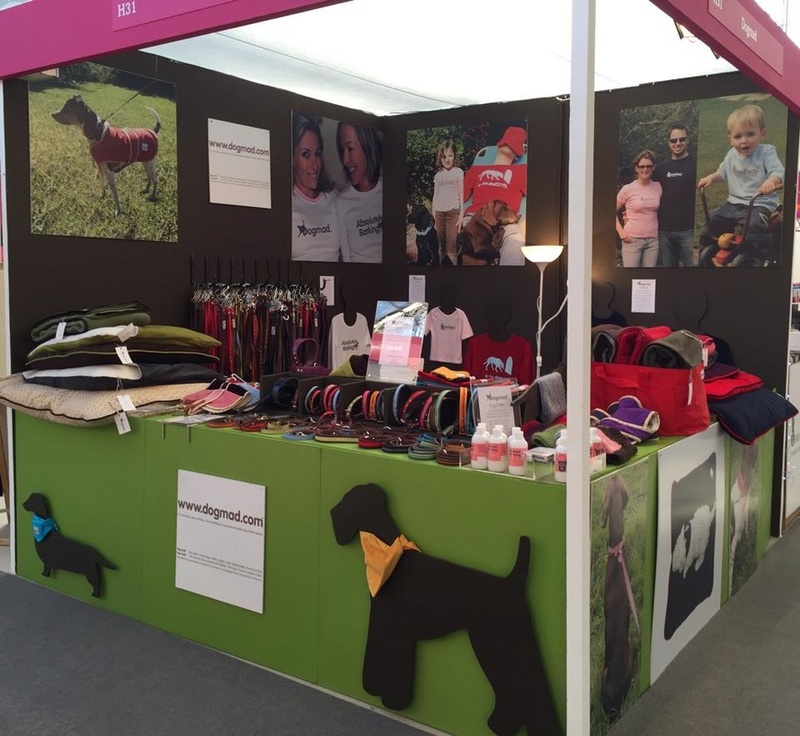 Dogmad has happily been producing quality British made goods for both dogs and their owners since 2003. We have also been spotted at many sporting and seasonal shopping events and can be found at the Spirit of Christmas Fair in London each November.